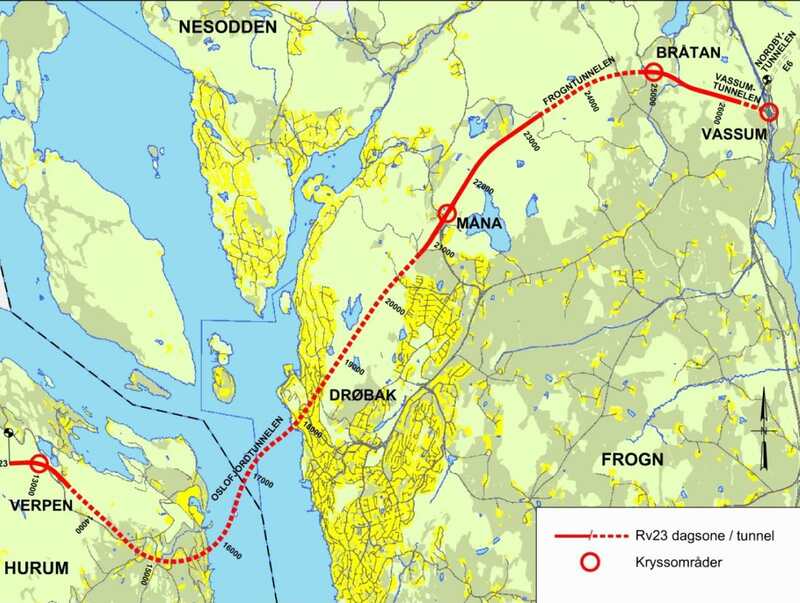 Proposition no 87 to the Norwegian Parliament (1995-1996) determined that the Rv 23 Oslofjord connection shall be built. One of the prerequisites of the proposition was that the Oslofjord connection would be constructed in line with traffic development. Its construction was therefore planned to take place over two construction phases. The first construction phase of the Oslofjord Tunnel was opened in 2000, and involved the construction of Rv 23 from Bjørnstad in Røyken municipality to Vassum in Frogn municipality. The Oslofjord Tunnel, Frogn Tunnel and Vassum Tunnel form part of Rv 23 and the Oslofjord connection. Aas-Jakobsen is the lead consultant for the Norwegian Public Roads Administration. The project includes both the zoning plan with environmental impact assessment and construction plan design. The design work was performed with close interdisciplinary collaboration with the companies in the network and with Multiconsult. 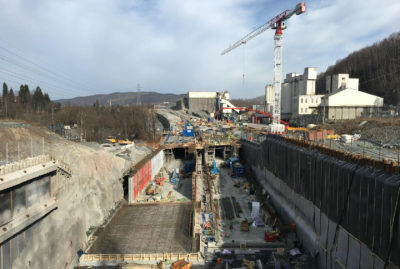 The Oslofjord connection, Construction Phase 2, includes a new tunnel under the Oslofjord (7450 metres), parallel to the existing tunnel, and an upgrade of the section from Måna to Vassum to a four-lane road with new tunnel sections in the Frogn Tunnel (1600 metres) and Vassum Tunnel (370 metres). 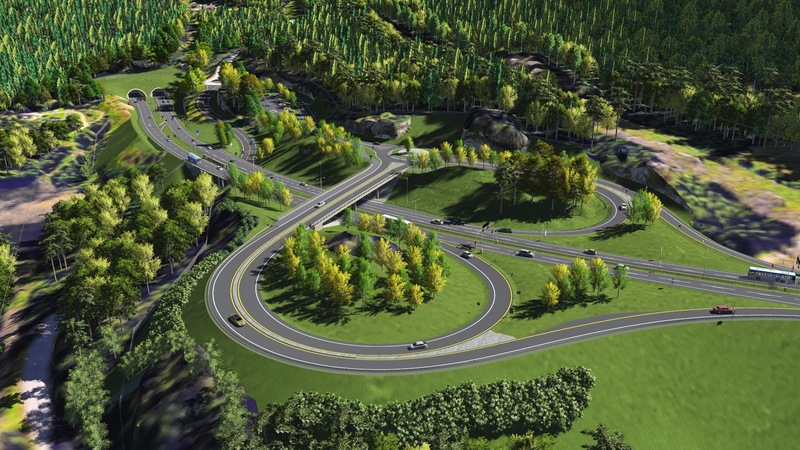 The project also includes new stack interchanges at Måna and Verpen, and three new bridges along Rv 23. The section has a total length of about 14 kilometres. Of these, 4 kilometres are in Hurum, Buskerud, and 10 kilometres in Frogn, Akershus. When the new tunnels have been completed, existing tunnels on the section will also be renovated. The purpose of the project is to make the existing tunnels safe, so that they will provide escape routes out of the Oslofjord tunnel to the surface. 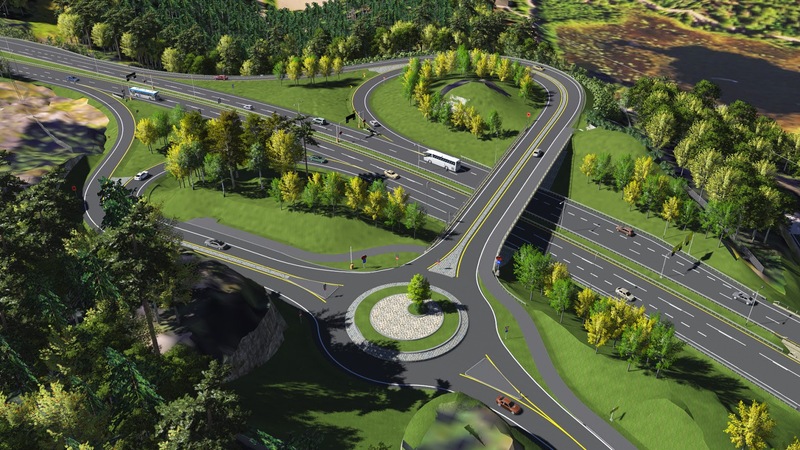 A four-lane road will also be created from the E6 at Vassum to Verpen in Hurum. An additional tunnel for the Oslofjord crossing will achieve: significantly improved traffic safety, a safe and future-oriented solution with adequate future capacity, escape routes to the surface should an incident occur and predictability for road users. 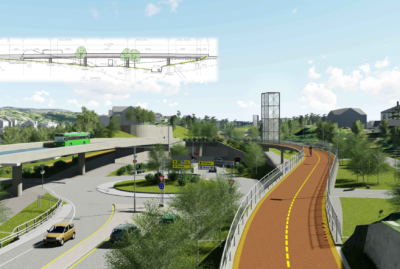 In February 2013, the Ministry of Transport and Communications decided that it would also like a study of a bridge crossing as an alternative to an additional tunnel. In September 2014, a comparative Concept Study report was presented, which demonstrated that there could be benefits of building a bridge instead. 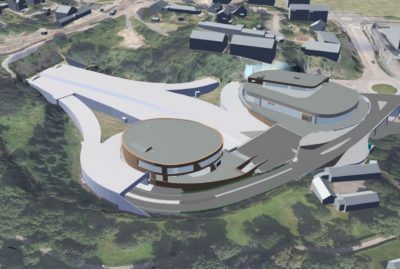 At the same time, the work on designing Phase 2 of the Oslofjord connection has been taking place, and a completed zoning plan was adopted by the host municipalities of Hurum and Frogn in February 2015. The Ministry of Transport and Communications now has to make the final decision on the choice between tunnel or bridge.